Breakingviews: SoftBank’s C.E.O. Insists That the Company Is Undervalued. Is It? 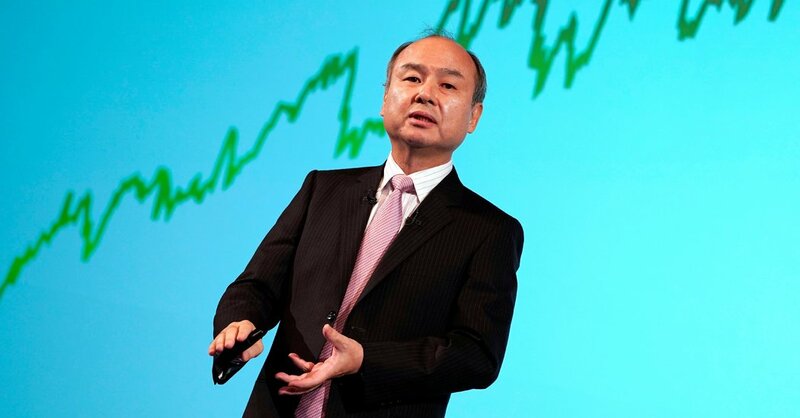 Masayoshi Son hates it when the numbers don’t add up. The SoftBank chief executive spent about an hour on Wednesday complaining that investors must be doing their sums incorrectly to value his conglomerate at $84 billion, some $110 billion less than he thinks it’s worth. As Mr. Son’s idol Albert Einstein would know, massive objects like the Vision Fund skew the normal laws of motion. The 61-year-old compared his valuation method to the physicist’s famous formula, E=mc2, calling it a “simple equation to describe a complicated picture of reality.” He added stakes in Alibaba, a few mobile carriers, numerous other subsidiaries and SoftBank’s share of the nearly $100 billion Vision Fund. The resulting enterprise value is $230 billion. Strip out roughly $36 billion of net debt and, according to Mr. Son, the “fair” market capitalization should be $194 billion. SoftBank’s actual market value is almost 60 percent lower. “What is that gap all about? Isn’t that weird?” Mr. Son asked on Wednesday, as he announced a $5.5 billion share buyback that he hopes will help to close the black hole. But Mr. Son’s formula needs a few adjustments. First, knock 20 percent off SoftBank’s listed holdings: Its stakes in companies like Yahoo Japan are so large that they could not be sold without crashing the price. Next, subtract another 30 percent from the Alibaba shareholding, reflecting an estimate from analysts at Bernstein of the tax liability that would arise from a sale. These steps shrink SoftBank’s fair value to about $130 billion. Mr. Son’s formula also counts SoftBank’s $25 billion portion of the Vision Fund, including performance fees, and $55 billion of cash on its balance sheet at face value. But investors usually apply a discount to cash and speculative investments because of the risk of them being squandered. Apply, say, a 40 percent haircut — reasonable given Mr. Son’s enthusiasm for investing vast sums in loss-making companies, like WeWork, at eye-popping valuations — and SoftBank’s fair value falls just below $100 billion. That implies the actual value gap is closer to $16 billion. And a 16 percent discount to net asset value is fairly typical for companies with sprawling conglomerate structures, especially one as large as SoftBank. As Einstein knew, gravity is proportional to mass.